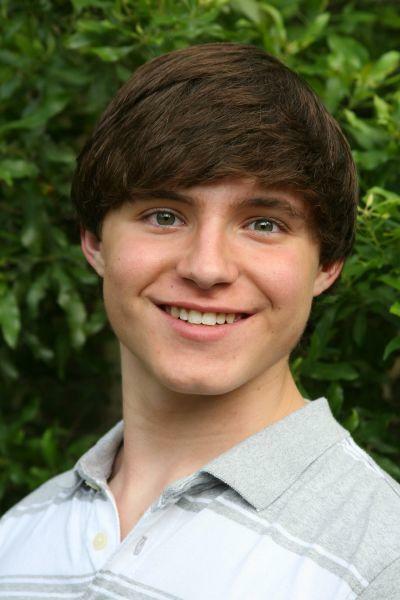 In my Courier column of last March 1st I reviewed Class Act’s Joseph & the Amazing Technicolor Dreamcoat, a production that was anchored, in no small measure, by a young local actor named Aaron Boudreaux in the lead role. At the time I noted, “I would like to say this young actor is in his prime, but while exploding with talent, good looks, charm, and charisma, he is only a sophomore in high school. If he pursues his dreams in the theatre, this critic thinks the sky is the limit.” Well, I don’t like to say, “I told you so,” but here goes. Young Mr. Boudreaux, well known hereabouts for his fine performances in local productions, decided to pursue his dreams by auditioning for the lead in a downtown Houston production of the recent new Broadway musical, “13,” that was to be presented at the Hobby Center’s Zilkah Hall. As the title implies, the show (with music and lyrics by Jason Robert Brown, and a book by Dan Elish and Robert Horn) would focus on teenagers in telling its story of one Jewish lad about to make his Bar Mitzvah when he is uprooted from friends in his New York City home amid his parent’s divorce, and suddenly transported to small town Appleton, Indiana with his mother. His period of adjustment, in losing old friends and trying to find new ones who will attend his Bar Mitzvah, forms the central theme of this pleasant coming-of-age story. Evan’s first new friend is Patrice (Sydney Roberts), a bit of an outcast herself. She disdains this small town and her scornful peers as she sings, “The Lamest Place in the World.” Miss Robert’s fine voice had almost a touch of country flair for, “What it Means to Be a Friend,” and later delivered a piercing rendition of, “Good Enough.” As for the in-crowd at Dan Quayle High School, Chris Canal plays Brett, the popular boy on campus, and Evan hopes to be his buddy and thus gain new friends to attend his Bar Mitzvah, even at the risk of losing Patrice as a friend. And of course we have the conceited head cheerleader, Kendra (Stephanie Styles), who is worshipped and adored. The cast delivered a “Hey Kendra” number that was a knockout, and Kendra’s gala sparkle ball entrance with the cheerleaders’ “Opportunity” cheer was great fun. Singing “Get Me What I Need,” another cast standout was Sean Hardin in a subtle and touching performance as the handicapped classmate, Archie. Hardin pairs well with Boudreaux for an “All Hail the Brain” full of pizzazz and capped by the hilariously silly arm brace dance for the handicapped in a “Terminal Illness” number that can’t help but remind us of the little old ladies dancing with their walkers in “The Producers.” Last, but not least among the featured players, was Betty Marie Muessig in the role of the conniving Lucy, who will stop at nothing to be sure Brett will be her boyfriend and not Kendra’s. Muessig had one of the finest voices in the cast, and displayed it well in such numbers as “It Can’t Be True,” where she leads the gossiping girls in the best telephone chat segment since “Bye Bye Birdie.” Act One closed with a sweet duet of “Getting Ready,” from Archie and Evan that built to a rousing first act finale with the full company. In Act Two there was a well-staged (and rotating) movie theater scene with the teens and their dates trying to “get to first base” in the dark during the song, “Any Minute Now.” Boudreaux had another showcase for his fine voice with “Being A Geek,” bringing an authentic atmosphere of Jewish tradition that was further established by the fine choreography and backup chants of the male ensemble. And speaking of chants, Boudreaux’s haunting recitation of the Bar Mitzvah prayers was very well done.